The infographic was a nostalgic reminder that in 2008, the usage of Twitter was still in an ‘early’ state. Since then, the adoption of Twitter has mushroomed. Barak Obama followers have increased by 25700% in four years. Not only has his popularity increased, but his tweet “Four more years” has broken the record for most popular tweet with 780,000 retweets. Now that digital has become such an integral part of everything we do, I wonder how the next four years will be shape out until it’s time to the ballot box once more. Looking for a tablet this holiday shopping season? If you are, and you’re leaning towards a shiny new iPad, wait just a minute: Oprah wants you to know that she loves the Microsoft Surface. How much does the billionaire media personality love it? 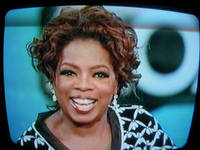 According to a tweet she posted this past Sunday, Oprah has already purchased 12 of the devices as gifts for Christmas. Don’t expect Apple to lose any sleep over Oprah’s endorsement of Microsoft’s Windows 8 tablet: if you believe Oprah posted the tweet in question, she did so from her iPad. After Google’s Penguin updates and the coming of AuthorRank, there is perhaps more interest than ever in guest blogging. I’ve certainly had more requests this year. Google’s updates mean that guest blogging is now a key SEO tactic, but it should be about more than that. A couple of months ago, I read an interesting article on the 3 Door Digital blog, in which experts discussed guest blogging as an SEO and engagement strategy. Web personalisation is a fast-growing area that has long-been used by some of the biggest brands and businesses in the world. 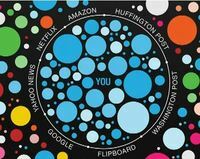 Sceptics bemoan that we are increasingly stuck in giant filter bubbles. But supporters, industry experts and a growing number of businesses see how it can revolutionise their online relationships and put the customer experience at the heart of what they do.